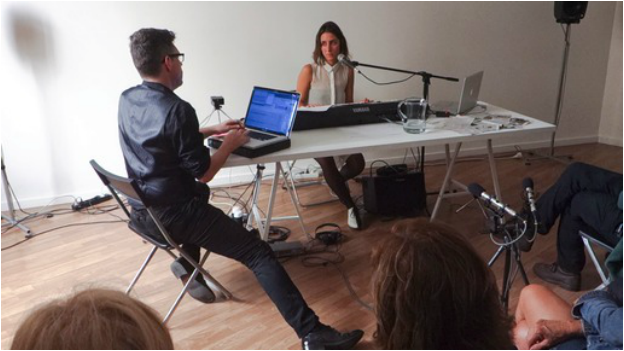 “Eu não sei dizer mais"
The performance includes sound samples extracted from parts of the video ‘All That is Matter’ that are played alternatively through a keyboard. A voice is materialised through various narratives taken from newspaper articles, accumulated during the exhibition, and songs with lyrics that reference the elements. 'Outmatters' follows on from the performance of 'All That Matter'. Rodrigues and Behrens then manipulate this material further and transport it into a digitally manipulated landscape.